Why do companies seem great while the founder is in place and then gradually wither to nothing? My dad started his jewellery retail business in the late 1960s. He grew it to three shops and planned for his family to succeed him. Then the 1970s came along. Petrol was in short supply. The three-day week hit. Power cuts were a regular feature on high streets and the UK hit a recession. Trade was not so buoyant, but the business kept its head above water. By the mid-eighties, though, my dad’s shops were in trouble. The market for luxury goods was waning and he didn’t have a successor yet. The systems he’d built into his business relied upon him being there – to anyone else, they were impenetrable. Shoppers in the jewellery market looked around for cheap alternatives. While Dad held on to his Rolex and Bulova concessions, Timex did new things with LED digital watches and shoppers drifted to lower cost products. After all, a watch didn’t get more accurate the more you spent, especially since electronics were now more reliable than mechanicals. Empires sprouted out of ‘low cost’. What eventually killed off many traditional high street jewellers – including my dad – wasn’t a recession or a digital watch, but the insurgent response. Even after Gerald Ratner reduced his multi-million-pound jewellery business to rubble with a single remark about how his products were so cheap – ‘because it’s total crap’ – the market still needed watches and wedding rings. What Dad didn’t do was see the trend and respond to consumer signals. He stuck to his established ways, failed to prepare for a time when they were out of date, and eventually went under. Let’s have a quick look at another industry that is important to the UK today: automotive. The UK Government says within twenty years we’ll have seen the last signs of the current petro-chemical-based car industry. The recognisable car-making supply chain in the UK is founded on mining, smelting, rolling, beating and pressing. Now we’re seeing electric vehicles start to dominate. New cars are getting lighter, using less metal, and new construction methods. Process like laminating, injecting, bonding and moulding. If legislation isn’t sending a wake-up call to the component end of this market, the language of the new market should. Too often, the generation that built a business doesn’t acknowledge when it needs to change radically. More and more SMEs (and others too) are seeing their markets change so quickly that there isn’t time to enjoy a ‘career’. Established SMEs are used to believing that what mum or dad started, the kids can take over. Not necessarily so. Today, the average lifecycle of a business is around eighteen years, while careers last over thirty. 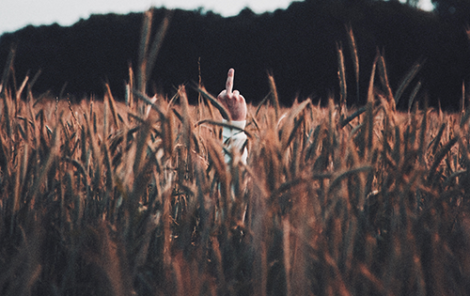 Because demand and technology change markets so quickly, and old habits die hard, what worked even five years ago, can’t be relied upon to work now. If you see any of this in yourself, get in touch. The best time to have made an essential decision may have been twenty years ago. But the next best time is today. 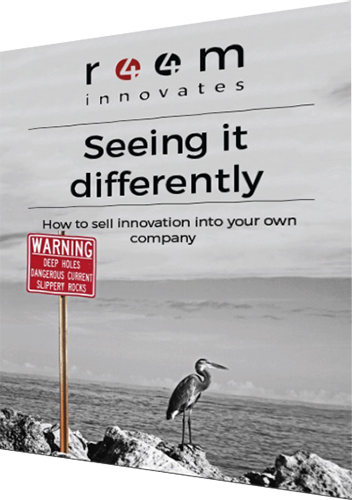 Download our guide to selling innovation into your own business, ‘Seeing it differently’, here.